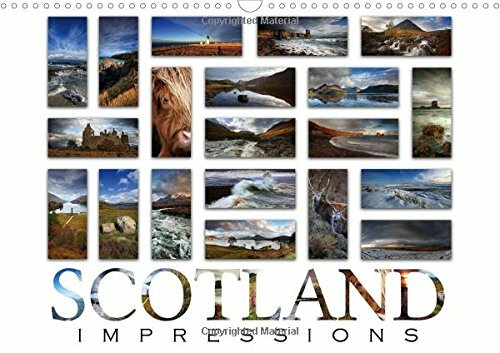 Enjoy your Scotland year with 240 beautiful impressions, 20 for each calendar sheet. Martina Cross, a German photo artist, lived in Scotland for over 10 years and her portfolio of land- and seascape photos is vast. Martina has made a modern compilation of 20 stunning landscape shots on each page, featuring some of the best locations in Scotland throughout the year. Calvendo calendars are premium products - a bit more pricey than others but with added benefits: Our calendars always look beautiful on your wall because we produce them locally with premium paper and sophisticated spiral binding, ensuring easy turning of pages and flat hanging against the wall. A protective transparent plastic cover sheet provides added stability. Treat yourself to a Calvendo calendar and you get something that looks better all year round.